The restaurant is very unpretentious – if you are a stickler for cleanliness, this is not the place to go. But once you tuck into their Tala Hua Gosht, you just forget about all these. 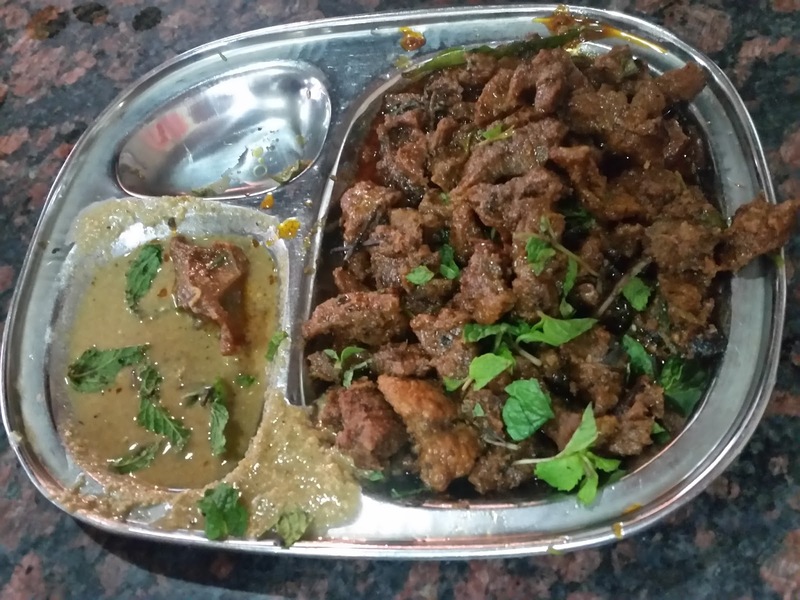 Tala Hua Gosht is essentially a Hyderabadi stir fried meat with abundant masala and green chilllies. 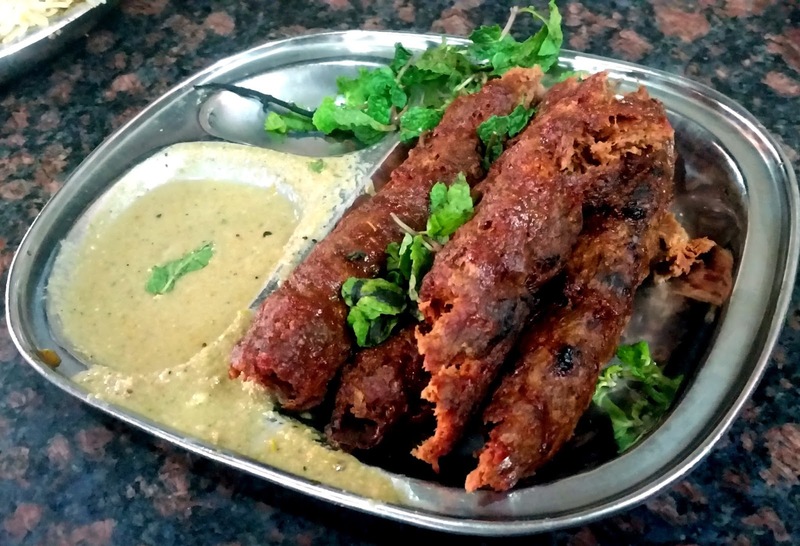 The masala sticks to the soft meat and makes a delightful combination with the roomali rotis. The Seekh Kabab here is another dish not to be missed. 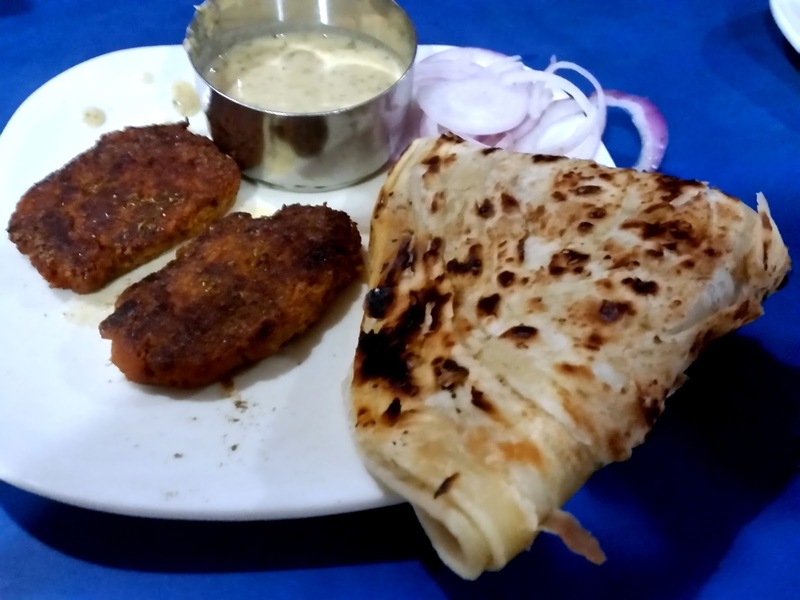 Served with cut onions and the brown chutney, these kababs are a bit on the drier side, but they find their perfect foil in the warqi paratha. 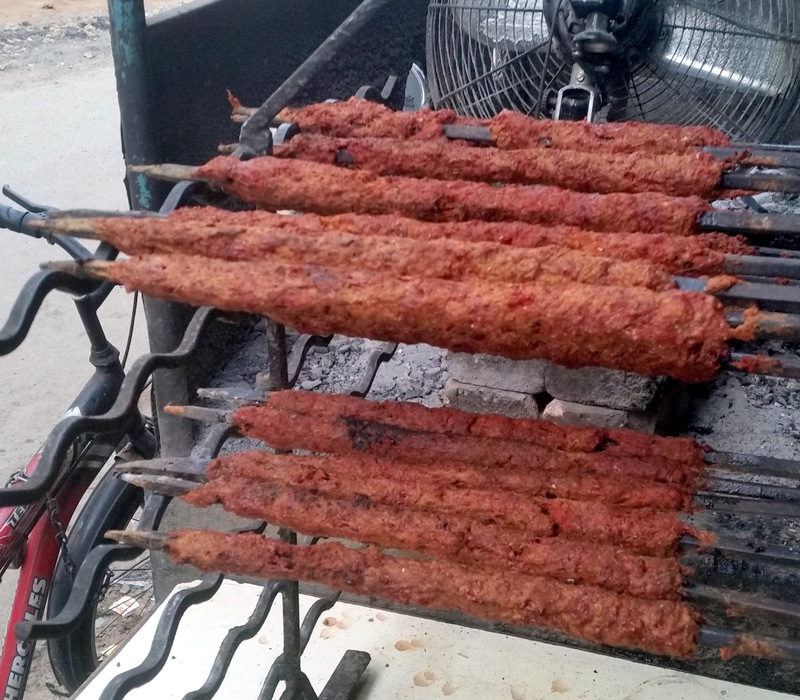 The seekh kababs are prepared right in front of the hotel, and you can see a small crowd eagerly waiting for these. Alhumdulillah also serves a pretty decent Beef Biryani at an unbelievable price of Rs 90. One very important thing to remember at this place is that all the items which are mentioned under mutton in the menu are actually beef. 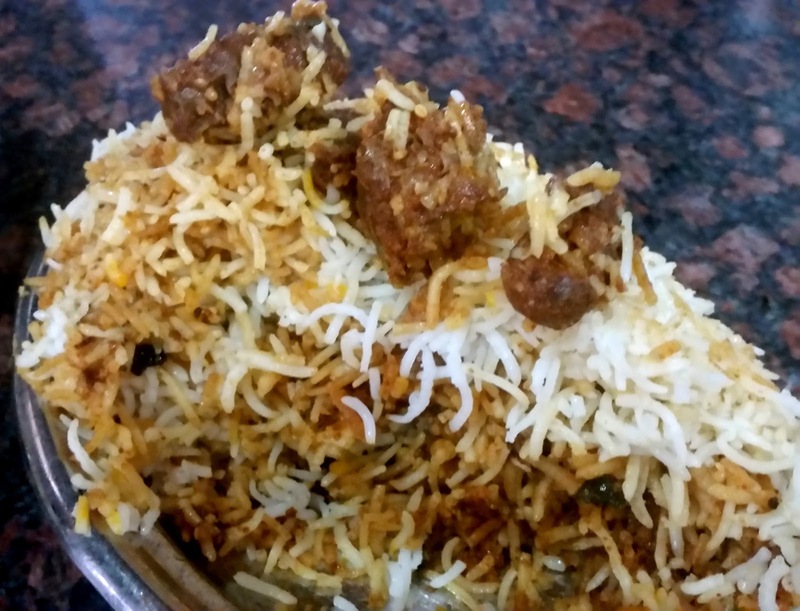 For people who avoid beef for religious or other reasons, they have a list of chicken based items – but frankly this place is not known for these. 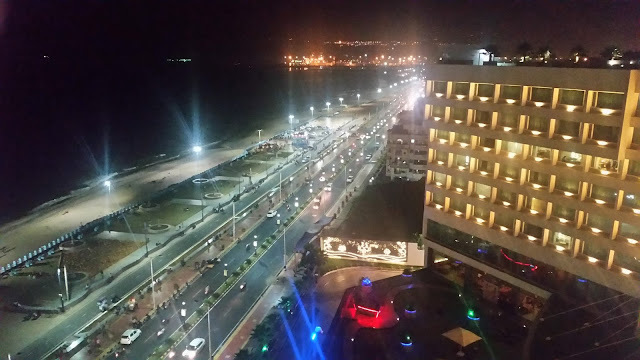 The restaurant is open till 4 am at night, thus providing a good option for late night hunger pangs. 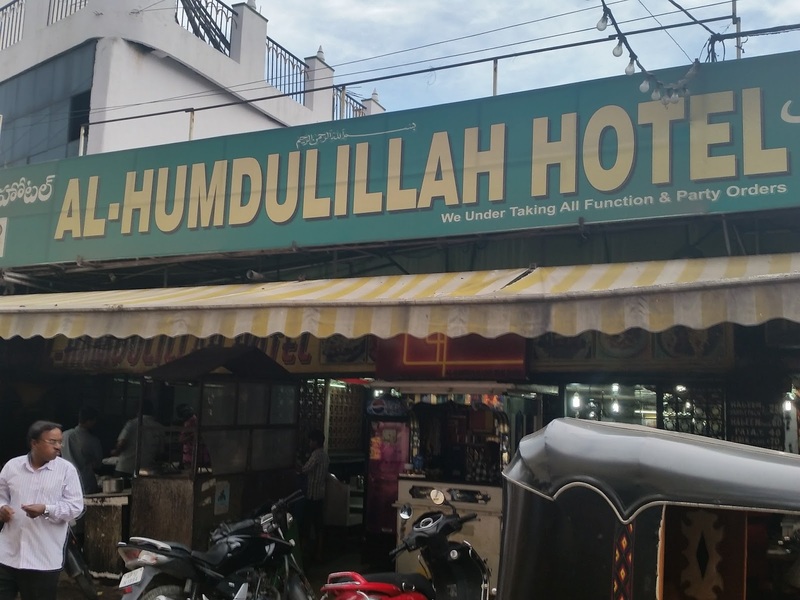 Bang opposite the main hotel, there is a small place named “Alhumdulillah Chatpat”. 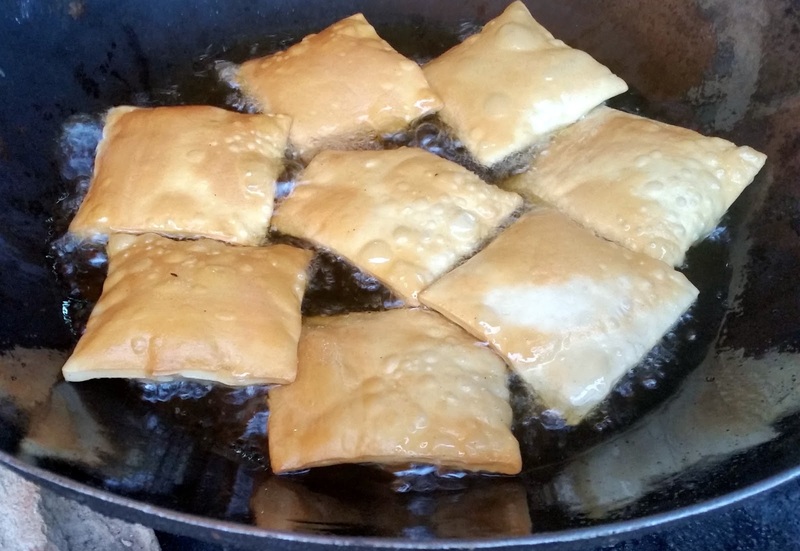 This joint specializes in Lukmis, the square shaped Hyderabadi snack stuffed with meat. They are made right in front of you, and one likes the fresh snack, though a little bit of extra filling would have done it a lot of good. 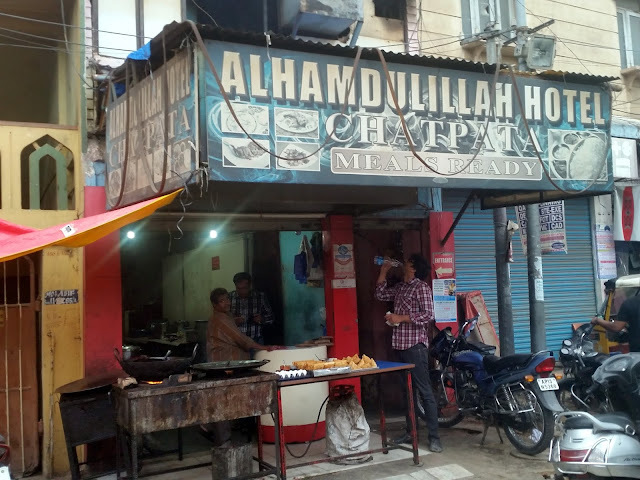 The Shammi Kababs here are soft and delicious and for me the chutney here tasted even better than Alhumdilullah. 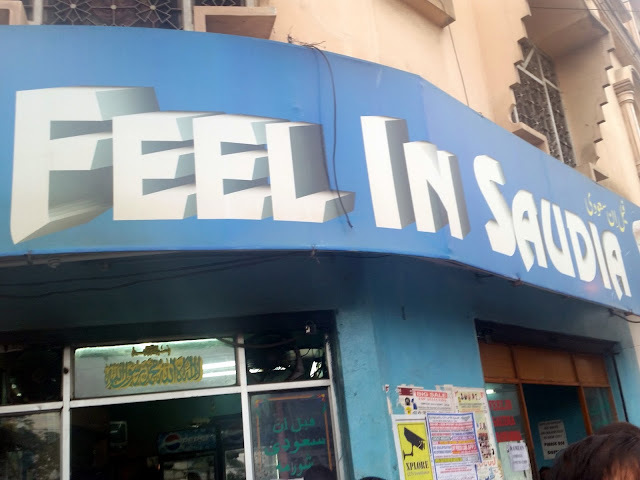 As you proceed about hundred metres from here to the left, you reach Feel In Saudia, one of the oldest shawarma joints. 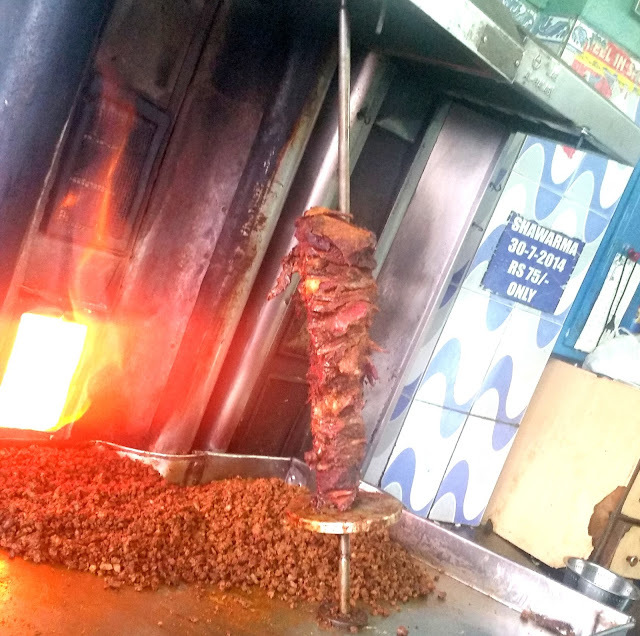 Beef Shawarma here, priced at Rs 75, is really big, a couple of them will be sufficient for dinner. The shawarmas are in soft breads which look like subs, and the stuffed with beef, cabbage and cucumber and mayo. They are served on a newspaper piece instead of a plate, but the taste makes up for all that. This is a very small place with hardly any seating, but there is always a large crowd outside standing and enjoying the food. 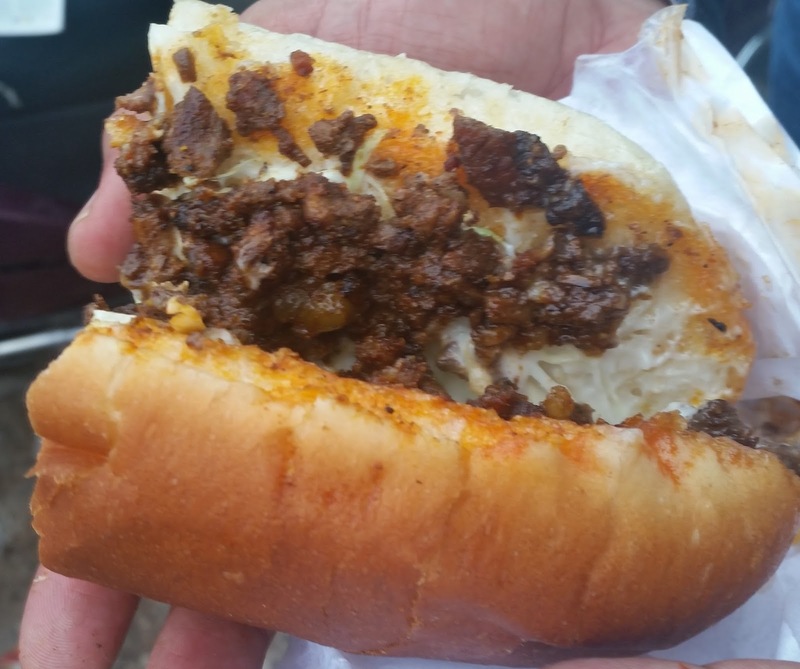 One bite into the soft bread, you get the taste of the beef stuffing, and you cannot just stop munching on. All the food outlets are located very close to Tekki Masjid, Nampally. Ask for Alhumdulillah, and anyone will direct you to the place.